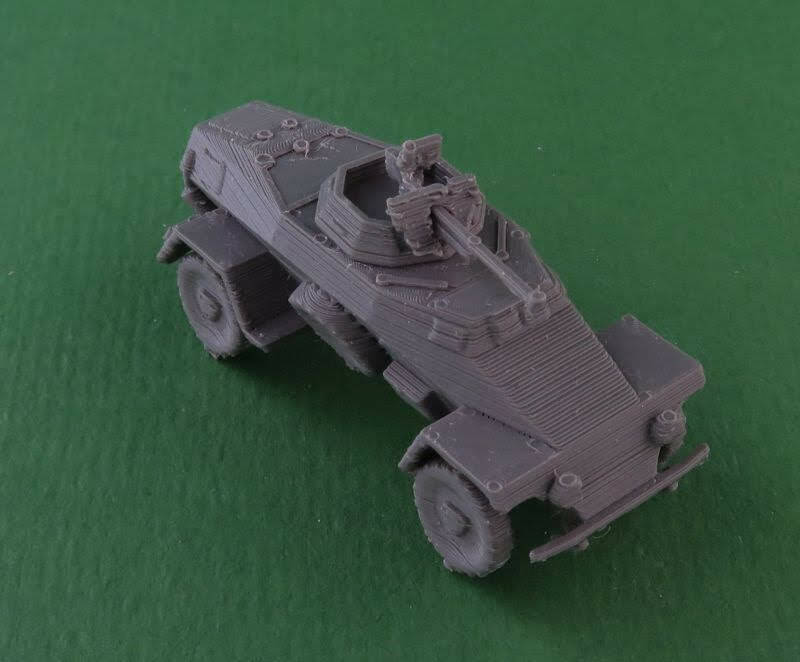 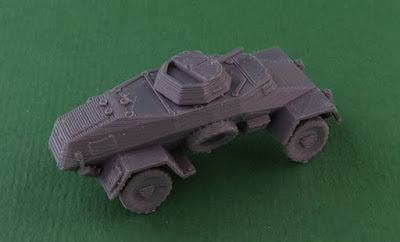 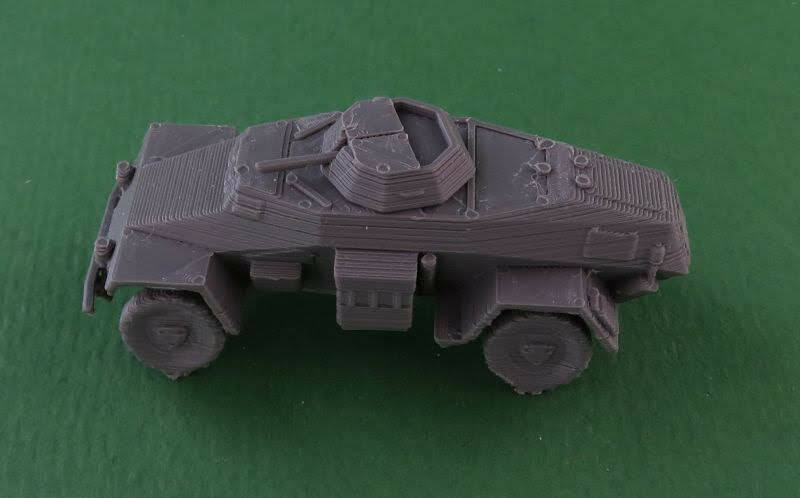 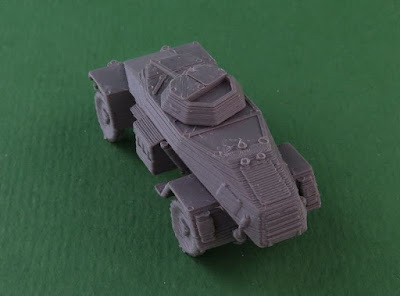 One German WW2 Sd Kfz 221 Armoured car. Available in 6mm (1/285), 12mm (1/144), 15mm (1/100), 20mm (1/76) and 28mm (1/56). 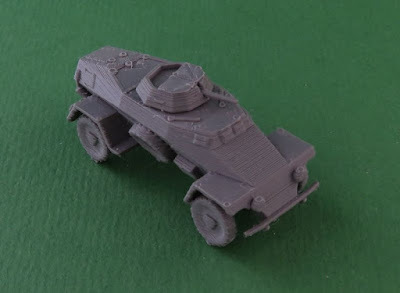 The Leichter Panzerspähwagen (light armoured reconnaissance vehicle) was a series of light four-wheel drive armoured cars produced by Germany from 1935 to 1944.